I have an amazing deal to share with you guys tonight! 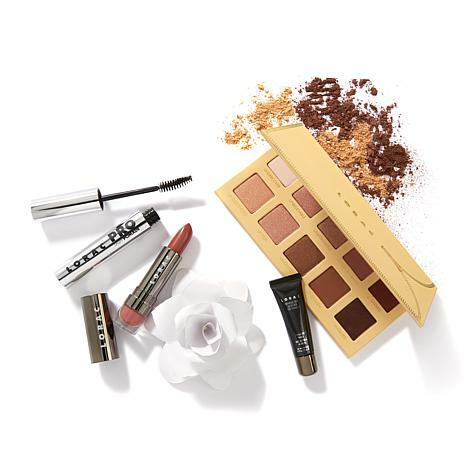 The Lorac Cosmetics Unforgettable Collection is officially launching on HSN on the 22nd, but it's currently available for presale now. Alter Ego lipstick in Cat Lady (regularly $18). This is an $84 value for only $39! The palette retails in stores like Ulta and Kohls for $42 and this set is $3 less than that so it's a fantastic deal if you've been wanting to pick up the Unzipped Palette. 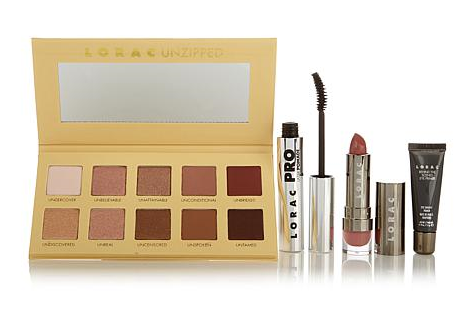 If you already own the original Unzipped, stay tuned for Wednesday, Feb 22...there will be more Lorac sets like this one available on HSN. One with the new California Dreaming Palette and one with the Unzipped Gold palette! I'll be sure to post about them as soon as they go live. Head on over to HSN.com if you want to take advantage of this deal and don't wait because I have a feeling this might sell out before the actual launch date! Woah I am SO getting this! I have Unzipped Gold and love it but always wanted this one. Thank you for sharing! Whaaat? That's a steal! I already own the Unzipped Palette but I'm curious to see what the other deals are like on Wednesday because I don't have the other two palettes you mentioned.